Is a B&B Conversion Financially Viable? Home > Decorating & Maintenance > Is a B&B Conversion Financially Viable? If you're thinking of going into the bed and breakfast business by converting your property into a B&B, before you start thinking about the details like building regulations you need to check that the finance makes sense. The vast majority of businesses that fail do so in the first three years and the hotel and catering business is particularly susceptible to this. So hard-headed financial analysis is necessary before embarking on the property conversion and raising finance through a remortgage of loan. The first step is to go round the house as it stands at the moment and, as far as possible, examining it critically through the eyes of a bed and breakfast guest, and noting what you see. Don't forget to look in all the corners and up at the ceilings, and peer closely at fittings, furniture, windows and doors. Be critical about the standard of bathroom fittings and the state of carpets and other floor coverings. Will your kitchen pass muster? It will have to be functional as well as clean and safe enough to satisfy the building inspector as well as the local authority inspector who will check it against health and safety regulations. Make a note of everything you find that will need to be refreshed or mended before the standard is good enough for paying B&B guests. Then assess what major modifications you will need to do the property to get the required number of guest rooms out of it. This may need building work, plumbing in of new bathrooms, modifications to conform to building regulations, all that sort of thing. Go through our articles in this House Conversion section to examine the work required to the different areas of a B&B in detail. At the end of all that work you will have a list, hopefully not too long, of work that will need to be done to convert your property into a bed and breakfast and conform to building regulations. It could cover everything from a paint job to a two-storey extension. Now you need to price it up and consider whether you will need more finance, perhaps a remortgage. Tick off the things that you are confident you can do yourself and those that will need to be done by a professional. Then price up the materials for the first group and get professionals in to quote for the rest. You need to be pragmatic about this. For example, there's no point in saving yourself a £400 plumbers bill by doing all that work yourself if it means you miss the first month of high season. Assess not just whether you can do the job but whether it makes sense for you to do it. 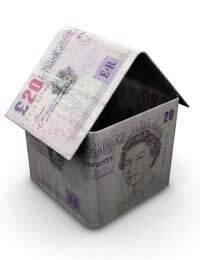 Will the Conversion Require Finance or a Remortgage? To assess the financial viability of the project as a whole, take your final figures and compare them with your anticipated takings from the business, not forgetting to allow for costs. Look at our article on Setting Guest Rates for more detail on this process. Work out how long it will take to pay off the investment and consider whether or not it will be quick enough for you. One rule of thumb is not to spend more on the property than you can recoup by selling the property. This isn’t necessary useful as a business finance yardstick but it helps you to not overstretch your finances. Assuming you think the property conversion is worthwhile and if you have equity in the property, a remortgage might be the sensible way to finance the work. Again we have an article to help you out with finance and remortgage options in our Starting Up section.